Jim Yardley’s new book, Brave Dragons: A Chinese Basketball Team, an American Coach, and Two Cultures Clashing , is more than just a good story about basketball in China. Yardley’s micro-analysis of the Chinese Basketball Association (CBA) provides an important macro view of current US-China relations. In 2008, Yardley, a former Beijing-based reporter for the New York Times and a basketball fanatic, followed China’s worst basketball team, Shanxi’s Brave Dragons, its crazy owner, Boss Wang, and its great experiment: hiring a former NBA head coach, Bob Weiss. While the Brave Dragons may be China’s worst team, they are its most lovable. Through multiple interviews, observations and traveling with the team, Yardley perfectly captures the comedy that at times is the Brave Dragons and demonstrates the individual humanity of the team’s players, coaches and even in the end, of Boss Wang. kicked – that occurs on a daily basis between the Chinese and American basketball players, their competing leagues, and their cultures. In the process, Yardley calls into question some of the more common-held myths about China. Since the economic downturn in 2008 and the ever increasing ineffectiveness of Congress, there seems to be a growing consensus that China’s “state capitalism” is superior to America’s democratic one (think Tom Friedman’s That Used to Be Us and Ian Bremmer’s The End of the Free Market ). In Brave Dragons , Yardley challenges this increasingly common perception by analyzing the hot mess that is the Chinese Basketball Association (CBA). The CBA is anything but a competitive league. The CBA’s goal is not to make money or even to provide China’s sizable basketball fan base with a satisfying experience, or even to develop talent. Instead talent is largely stunted, the league is not terribly competitive and even a team like the Shanghai Sharks doesn’t take in much of a profit, or more aptly, doesn’t care to. Perhaps what is most shocking is the archaic way in which basketball talent is still found in China. China doesn’t really do little league and youth sports, where any young kid with a love of the game can play, regardless of his or her ability, and where those with enough passion for the sport and enough talent may eventually make that sport his or her career. Instead, through a series of bone measurements and medical tests, Chinese doctors determine which youngsters are destined to grow tall and then enroll them into the country’s sport system, providing them with little choice concerning their future career. As Yardley points out, this system is not without its detractors but their criticism gains little traction. In 2004, then CBA president, Li Yuanwei commissioned a consulting service to create a plan for the CBA to become a successful, efficient and effective organization. But effective and efficient without pushing many of the government bureaucrats and Party officials who make their living from the system as it stands is nearly impossible. The plan was shelved, with the excuse that China was just not ready. Yardley’s description of the CBA reflects the shackles of the communist system and the vested interest that propel some aspects of the anachronistic system to continue to function. But one begins to wonder – to what extent is this just limited to basketball? How many other industries in China function so disastrously? Yardley never fully tells us that as it is outside the scope of the book, but his book certainly raises the question and leaves the reader thinking: if that is how basketball is run in China, I’ll take the U.S. any day of the week, even in this economic downturn. Yardley perfectly demonstrates the arrogance of the NBA’s current business tactics in China by comparing it to the YMCA’s strategy. In 1895, the YMCA first brought basketball to China in an effort ostensibly to assist China during a historical transition (the impending fall of the Qing dynasty) but with the covert goal to convert as many Chinese to Christianity as possible. In the process of attempting to achieve its goal, the YMCA became a solidly Chinese organization. It was that sinicization of the organization that ultimately saved it. Today, the organization still exists in China although Christianity is no longer a part of its mission. 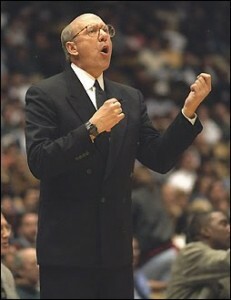 But it continues to teach the importance of sports and basketball. The CBA’s current ineptitude is readily apparent to the NBA as it sits on the sidelines, salivating and waiting to not just break into the Chinese basketball market but to control it. Basketball is s the hottest sport in China and the NBA wants to be able to tap a country of 1.3 billion fans. But the NBA’s plan for China is less of a partnership and more of a colonization of the game by eradicating the current structure. Although the NBA has hired consultants to analyze its takeover, its analysis left out one important question – did the Chinese want this? As Yardley points out, if the NBA is genuine about promoting basketball and not just its own profit, it needs to take a lesson from the YMCA – to have long-term success it is essential that there is some sort of Chinese buy-in; that it cannot just be a complete takeover. 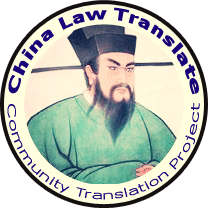 Yardley’s analysis made me think of my own work in China – rule of law development. The United States government provides millions of dollars in grants a year to U.S. universities and organizations to promote greater rule of law in China. But sometimes these “exchanges” become more a didactic, one-sided explanation of how the Chinese legal system should look more like ours. But what good are these exchanges if there is no Chinese buy-in? It’s good that these exchanges are out there, but what should their roles be? There is no denying that China needs a greater rule of law and its own people clamor for it, but how do we copy the YMCA model to guarantee that rule of law maintains its existence? The most humorous aspects of Brave Dragons were parts about the American players’ response to the often unique, Chinese ways of basketball. Every team in China is allowed two foreign players (except Bayi, the Army’s team) and as a result, many aging NBA stars spend a lot of time playing in China. How do the American players – and Coach Weiss – respond to what appears to be off the wall demands from the Chinese coaches? 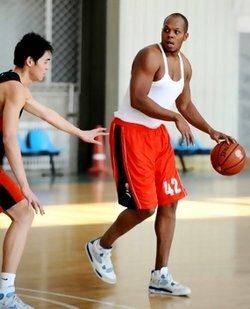 How do the Chinese fans respond to a former NBA star and bad boy like Bonzi Wells when he starts playing for the Brave Dragons? When two cultures collide, what are the results? According to Yardley, it’s not all that bad and not just changes the relations, but changes people as well. Yardley’s book is a reminder that US-China relations is not always a government-to-government affair. Rather individuals play a very important role in how the two cultures end up understanding each other, and ultimately forgiving each other for their respective cultural faux pas. These individuals will not necessarily be people who understand anything of the other person’s culture; these are just regular Joes who end up in China – they didn’t necessarily ask for it, sought it out, or ever even thought about China, but that is where their life took them. And the people they interact with don’t necessarily speak English, understand that much about American culture, or even wanted to work with Americans, but that is where fate placed them. And as everything in life becomes more globalized, more and more non-specialists will be interacting with China. Yardley shows that while at times there will be friction, ultimately these interactions are essential – if not the most important – to our understanding of each other. In sum, Jim Yardley does an amazing job of showing the compassion and humanity of each player on the Brave Dragons, even Bonzi Wells you end up liking and understanding (to a degree). But more importantly – and the reason why Brave Dragons is a must read for anyone who has any dealings with China – Yardley convinces the reader not just of the economic bond between China and the US, but the emotional one. And it’s important in today’s world to be reminded of the bond that exists between people. Brave Dragons: A Chinese Basketball Team, an American Coach, and Two Cultures Clashing , by Jim Yardley (Alfred A. Knoff 2012), 300 pages. Great review. I just ordered it up!